This intimate book of ten women's perspectives shows how discovery of the Goddess can unlock every woman's understanding of her innate creative nature. Although each writer comes from a different tradition, all have experienced the empowerment of the Goddess's wisdom through the common experience of life. 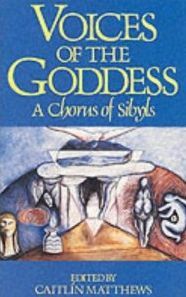 Through myth, legend, poetry, song, ritual, meditation and personal story, the individual voices of this book create a chorus in which the voice of the Goddess is clearly heard.